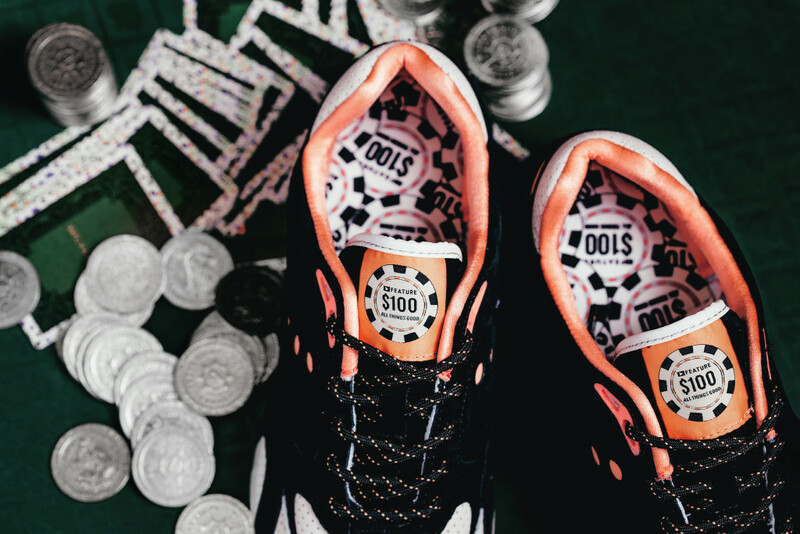 A Saucony Originals collab by Feature that references the shop's Las Vegas home. 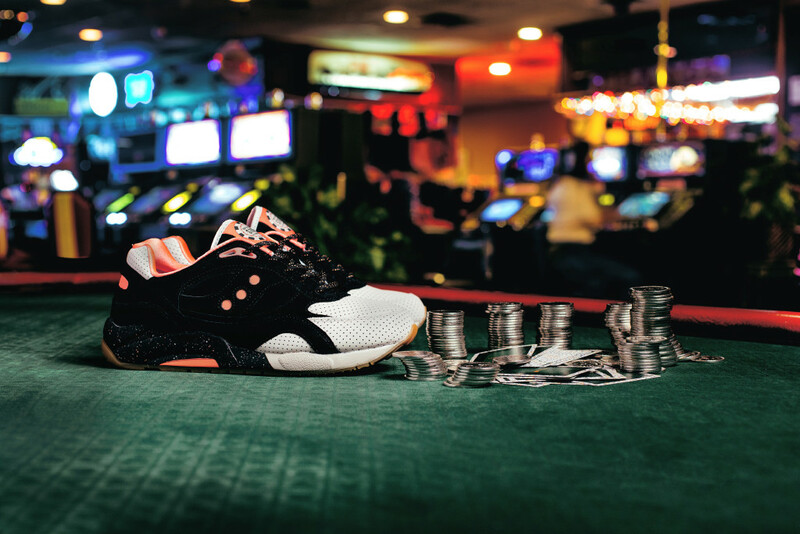 A new Saucony collaborator has entered the realm in the form of Feature Sneaker Boutique in Las Vegas. 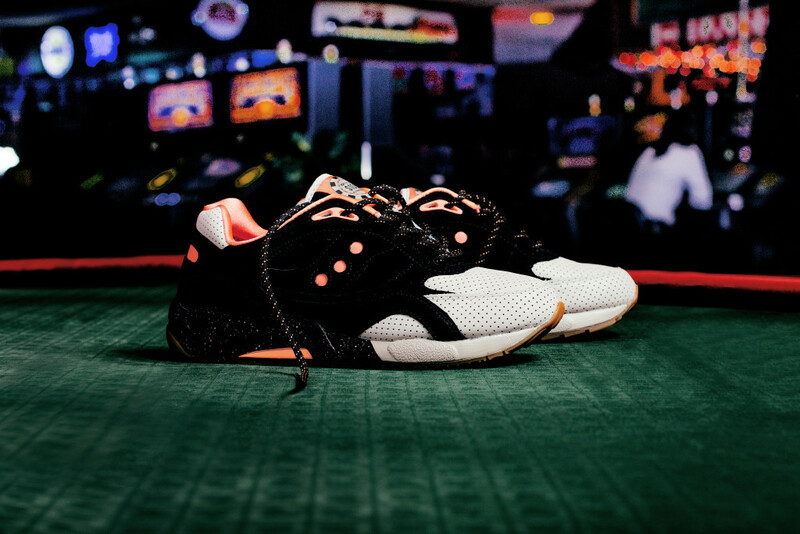 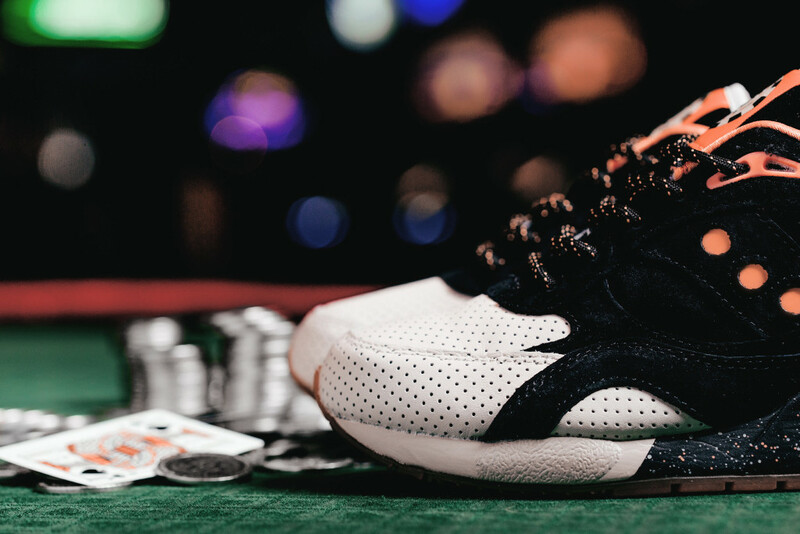 They've worked with the hybrid Saucony G9 Shadow 6 silhouette to craft a colorway that does justice to Sin City by referring to its most popular form of currency, the casino chip. 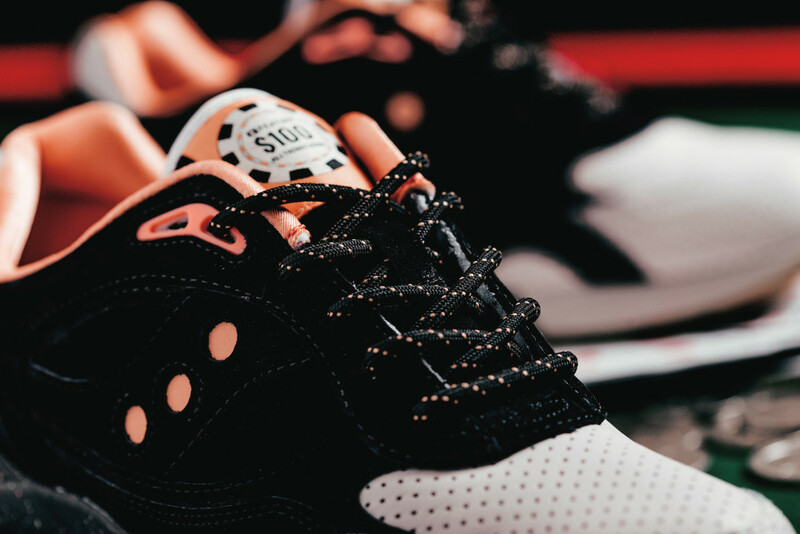 Feature mentions that this pair is the first of a wider ranging "High Roller" pack with Saucony, all of which will likely point back to their hometown. 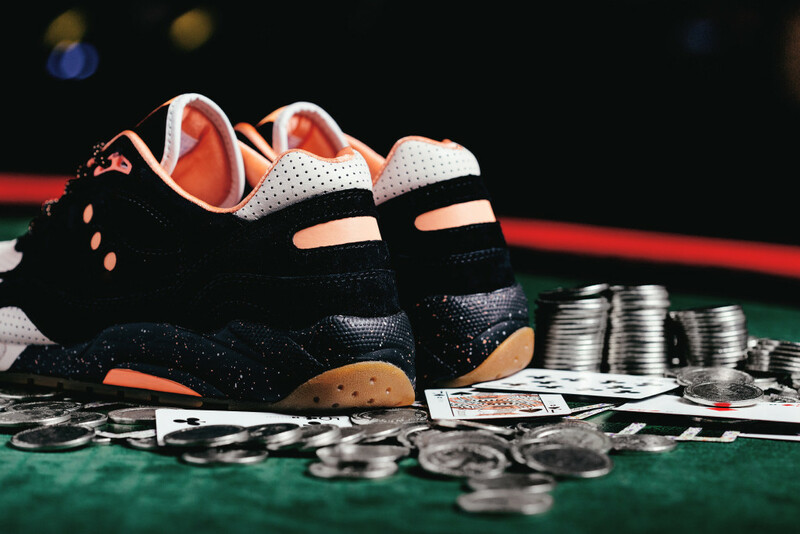 This pair is made to look like a $100 chip with its salmon accents and more direct graphic insole. 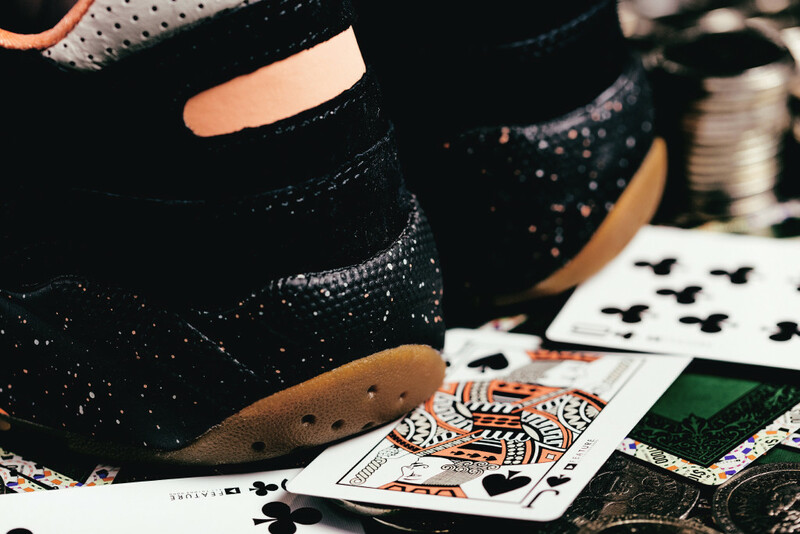 The Feature x Saucony G9 Shadow 6 ($140) will come with a customized set of playing cards and additional round laces, and will launch first at a friends and family event at Feature this Friday at 5PM PST and then online Friday December 19, 2014 at 9PM PST/12AM EST.